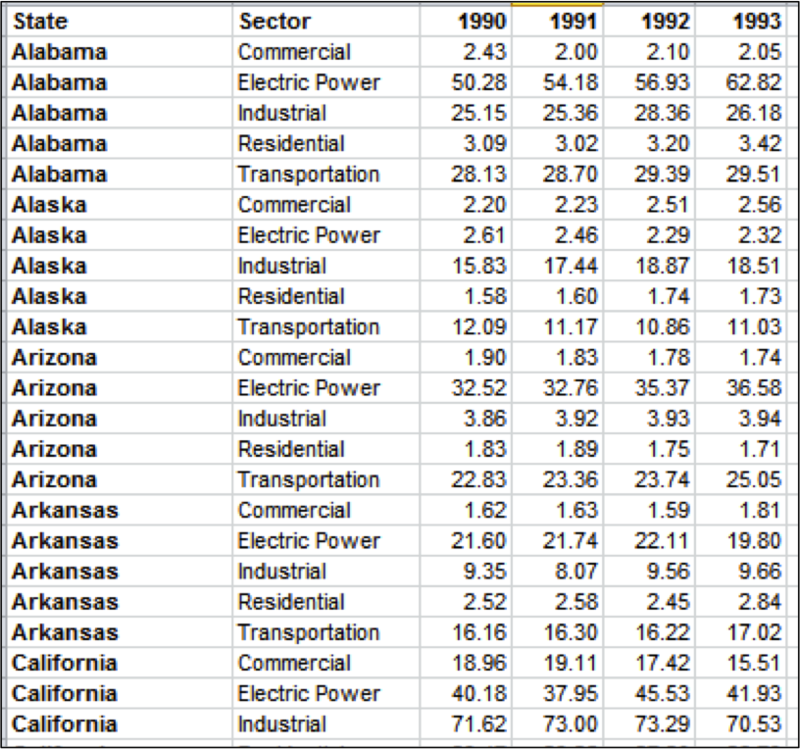 Say you have a dataset where you have a measurement that is taken every year for many years, like CO2 Emissions. 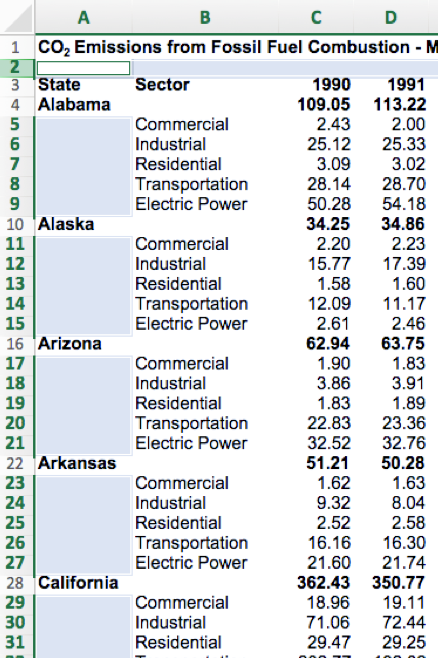 If you have one column for every year of the measurement, the table is in wide format. 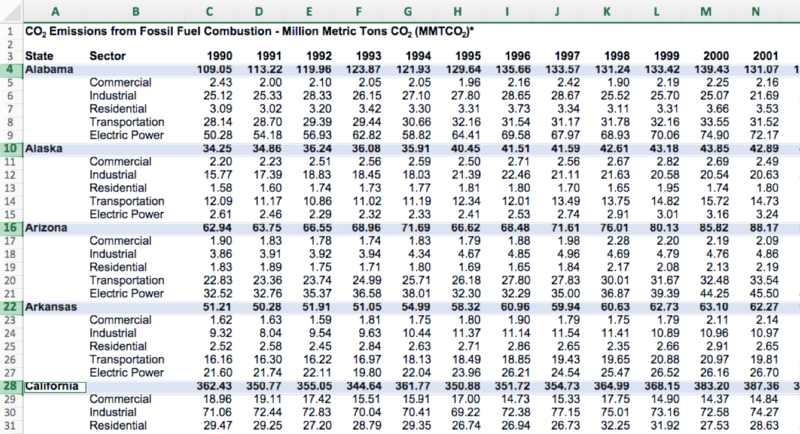 If, instead, you have a column that says "Year" and a column that says "CO2 Emissions," the table is in long format. Some people call this kind of data arrangement tidy data. This arrangement is useful for many tools beyond just PivotTables -- Tableau, ggplot2, pandas, etc. all work well with tidy data. Will I ever need to analyze the data based on a piece of information that is currently combined with other information in a single cell? Are there any other categories I could create to group my rows in a meaningful way? Are the values within each column inconsistent? For example, do my numerical columns also have text in them that might cause errors when I try to perform a calculation? When you identify something that might need to change, you can browse or search for an Excel function that will help. 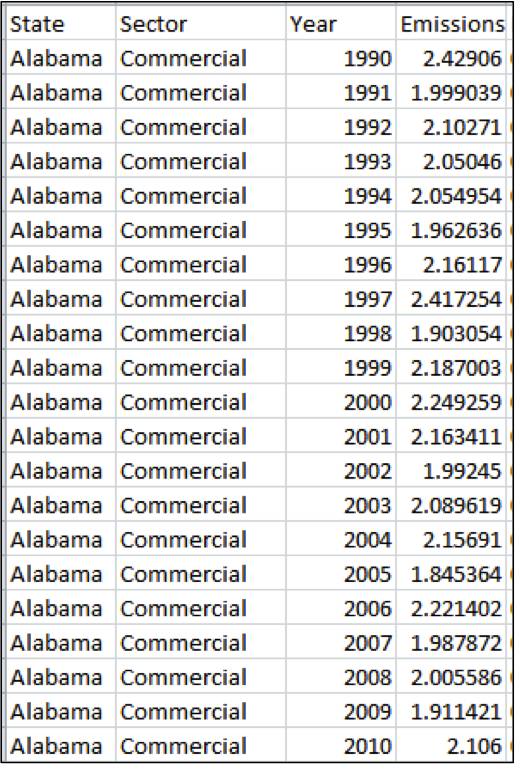 Converting data from a wide format to a long format, on the other hand, is trickier to do in Excel. You may want to try another tool, like OpenRefine.